If you have any questions about the GHALEB information page below please contact us. This motor yacht GHALEB is a superyacht of well sized proportions. This 35 m (115 ft) luxury yacht was begun and finished by Hatteras Yachts in 1996. Superyacht GHALEB is a upscale yacht that can sleep a total of 8 passengers on board and has approximately 5 qualified crew. The firm of naval architecture who actualised the drawings with respect to this ship is Jack Hargrave. Hatteras in addition was the designer which over saw her interior design. The yacht's general design work came from Jack Hargrave. The formal naval architect firm drawings are a products of Jack Hargrave. Motor Yacht GHALEB received her elegant interior designing from the interior design office of Hatteras. 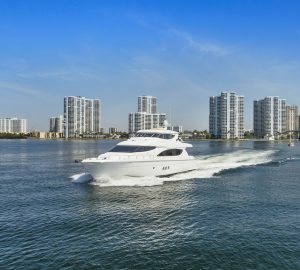 the United States is the country that Hatteras Yachts constructed their new build motor yacht in. After official launch in 1996 in New Bern Nc she was delivered on to the yacht owner having completed final finishing. A moderate proportion is manifested with a widest beam (width) of 7.25 m / 23.8 feet. With a 2m (6.6ft) draught (maximum depth) she is shallow. The material composite was used in the building of the hull of the motor yacht. Her superstructure above deck is built from composite. The vessel posseses twin hearty DDC main engine(s) and can manage a exhilaratory speed underway at 23 knots. The engine of the GHALEB creates 1800 horse power (or 1325 kilowatts). Her total HP is 3600 HP and her total Kilowatts are 2650. She is driven by twin screw propellers. With respect to the ship’s stabalisers she uses Naiad. For bow thruster maneuverability she was fitted with Abt. Apportioning bedding for a maximum of 8 yacht guests spending the night, the GHALEB accommodates them luxuriously. Under normal conditions she uses approximately 5 capable yacht crew to run. Onan 2 times 54 kilowatts. Lunaire is the air conditioning used in the interior. 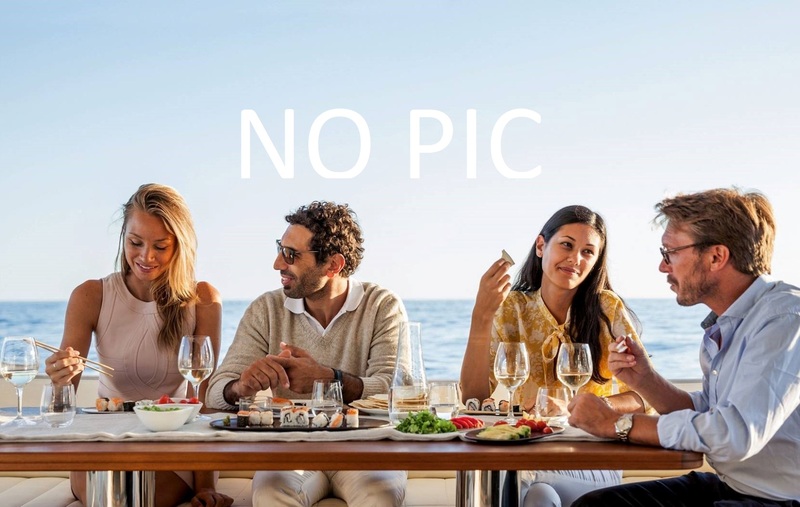 The luxury yacht GHALEB displayed on this page is merely informational and she is not necessarily available for yacht charter or for sale, nor is she represented or marketed in anyway by CharterWorld. This web page and the superyacht information contained herein is not contractual. All yacht specifications and informations are displayed in good faith but CharterWorld does not warrant or assume any legal liability or responsibility for the current accuracy, completeness, validity, or usefulness of any superyacht information and/or images displayed. All boat information is subject to change without prior notice and may not be current.